Increase your IT team capacities quickly with an offshore IT solution. Increase quickly your production capacities with a offshore IT solution. With the explosion of digital in recent years, all today projects of IT development. However, it is not always easy, when it is not our core business, to create a technical center in-house. The question of computer outsourcing is becoming relevant. A subcontractor is different from a traditional supplier, in the sense that he will manufacture, on behalf of his client, a product designed by the applicant. In the IT environment, it is developing software, a website or a web application according to the expression of need expressed by the customer. Looking for an IT expert to deliver your project. IT is not your core business. If your IT projects are strategic in the development of your business, we strongly advise you to integrate at least a technical director (CTO or CIO) in-house. It is essential, even if you outsource the project, that you can have in-house technical control of all your projects. If the projects are secondary, you can rest 100% on your provider. Manage your peaks in the IT industry. If you are a professional in the sector, software publisher, digital agency or a digital services company (ESN or SSII), outsourcing allows you to manage load peaks, to be able to intervene on technologies not mastered internally or to strengthen your technical teams because recruiting on the profiles of computer engineers is very difficult at the moment. 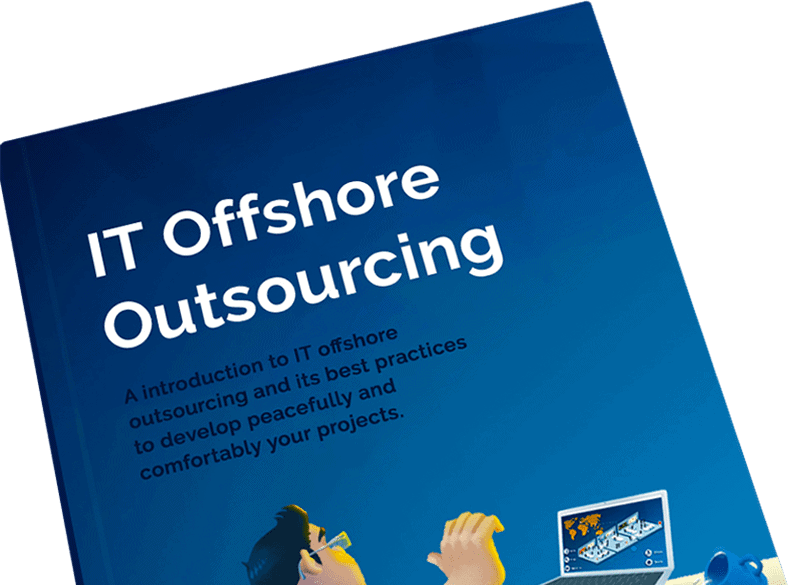 Subcontracting with an offshore IT provider also allows you to better manage your margins and obtain much more attractive prices. Subject, of course, to find the right partner who can offer qualitative services in the long term. Applying to subcontractors is often the subject of a strong comparison of the prices of the services offered. You have to be careful and not just pick the cheapest offer. It is necessary to verify the seriousness of your provider, his anteriority, his turnover, his references, his number of collaborators, etc. The formation of a team dedicated to your project. I would like to incorporate the notion of fair price. In fact, underpaying one's provider is not giving oneself the means to succeed. And a computer project that does not succeed will be a disaster for both the applicant, who has already paid installments without obtaining the expected product, for the provider who pays his employees every month while losing money. It is important to understand that to work in good conditions and be able to provide a quality service, the IT contractor must be able to build an experienced project team with all the required skills. A complete commitment to the realization of your IT project. The price is relative. 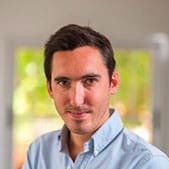 For example: with a budget of 300 euros per day in Paris, one can afford the services of an average developer underpaid by his company that may not be motivated. Whereas with 150 euros per day in offshore, one can offer the services of a technical expert having the means to be motivated by your project. Of course I am talking about prices offered by structured companies such as SSII / ESN, freelancers offering a more aggressive tariff proposal, with all the risks involved. At Bocasay, we have chosen to offer quality computer services. Our price day , even if it is much lower than rates charged in France, remains higher than what is generally practiced by small local offshore development companies. Our offshore web agencies are based in Madagascar and Vietnam and our head office is in Paris. This allows us to offer an optimal working and supervision framework for all our employees and to ensure the success of your IT projects. A successful developer is a developer involved! Deadlines met and integrated project management. After having seen the notion of price, we will approach the respect of the deadlines and the quality of the deliverables of your subcontractor. If you have used a serious service provider and are paying the right price, your IT contractor normally has the means to meet its initial commitments. He has set up an experienced technical team to manage your project with the right tools and the right way of working. It is still necessary that the applicant is able to express his need precisely from the start and that this does not change during the process. In fact, all projects evolve over time, which makes sense. The notion of time is very short, one must be able to adapt his project to the evolution of his market. At Bocasay, we've introduced two billing methods to meet our clients' plans. For small projects under 30 days Man, we offer services to the package. Indeed, the scope of these projects can be well defined from the start. This allows us to take a firm commitment in terms of price and time. For large projects, whose framework is not perfectly clear at first, it is essential to use the agile method. So we've chosen to give you a dedicated team instead of encrypting features because they'll evolve over the course of the project. A synergy client – IT team throughout the project. It eliminates the client/provider power struggle relationship by involving the client throughout the entire project. This is a single team capable of committing to regular technical deliveries that the customer can test or have tested in their community. The preliminary definition of project specifications. You will never hear this again: “It was not planned, we will not do it!”. No need to write down specifications on tens or hundreds of pages, just focus on the features planned over the next 15 days. The costs will remain under control, because we are able to propose affordable daily rates. You will be able to determine how much you pay every month without any surprises. Our customers are looking for a serious partner, who is able to support them in the long term. This partner must also demonstrate strong technical and organizational expertise, while offering competitive prices. With 5 years of professional existence, over 50 experienced developers and more than fifteen dedicated production teams, Bocasay is now able to offer you these guarantees. Testimonial of Pierre-Marie BOUTET, CEO at CLASIS : "The company that I manage develops donation management solutions for associations (CRM). For the longest time, we have been looking for a partner to develop a solution that is extremely competent, inexpensive and meets the ethical requirements of our market for us. Bocasay has been able to offer us a wide and reassuring service offer at an extremely competitive cost. After the recruitment of a developer and the real success of the collaboration, we have gradually increased our cooperation to reach 13 full-time resources. These teams have their own project management at Bocasay and work directly with our clients and our internal development team. They provide us with the production capacity we need in order to grow. At the same time, Bocasay has strengthened our supply in terms of specific web projects by allowing us to respond on websites or to ad hoc projects under Symfony. Beyond the proficiency of the production teams, it is the quality of management that makes the difference where other outsourcing projects have failed in the past. We are therefore fully satisfied with our cooperation with Bocasay and we wish to continue and develop our cooperation as we have done so far."